Our badger hair shaving brush is a great starter brush for those getting started with wet shaving, coming with a lightweight wooden handle and best badger hair. Best badger hair (which is better quality than pure badger hair but a notch below higher grade badger hair such as super and silvertip) is perfect for use with shaving soaps such as our Old Faithful. 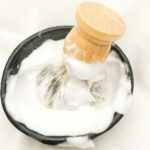 Best badger hair is super absorbent and the perfect choice for shaving soaps and creams that require a little more water to whip up a creamy lather. 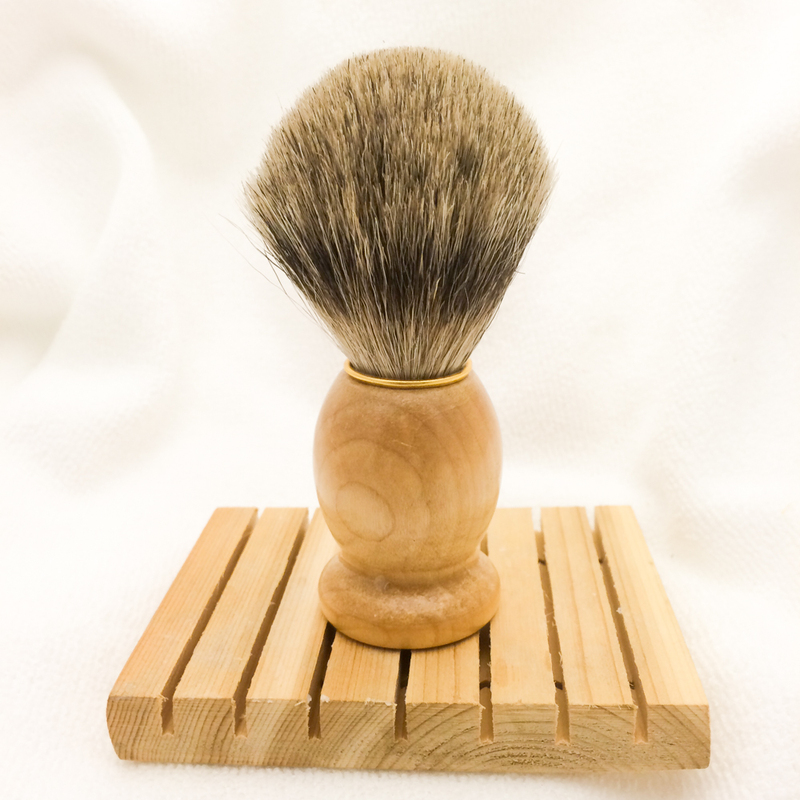 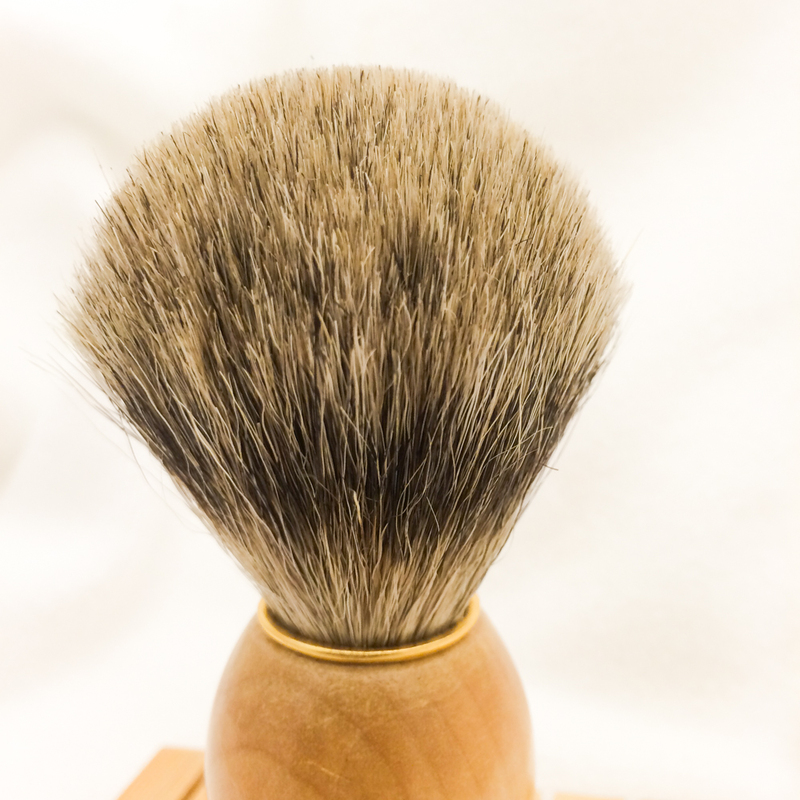 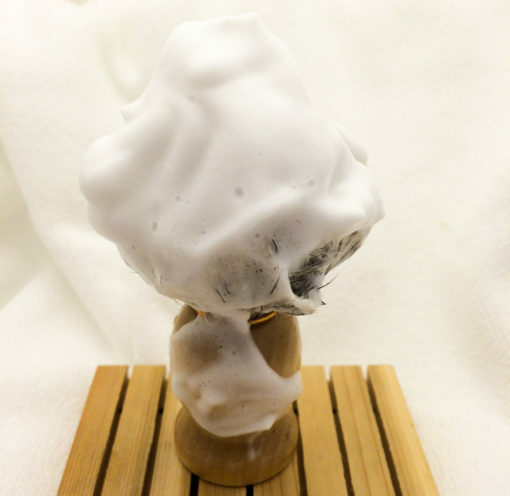 Our badger hair shave brush stands about 4″ tall from tip to handle and abut 1.5″ wide.